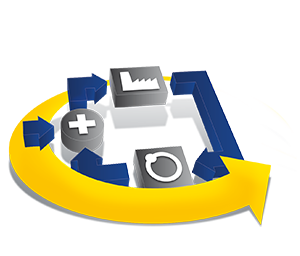 Process optimization to your needs. 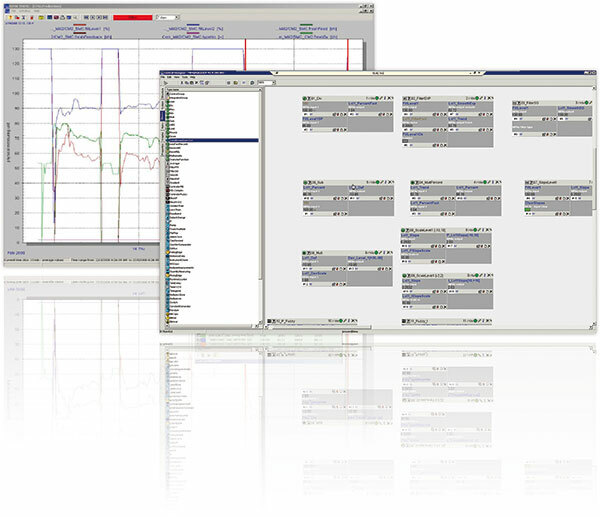 SmartControl is a power­ful and flex­ible soft­ware sys­tem, suit­able for con­trol­ling many tech­ni­cal pro­cesses due to its modu­lar design. 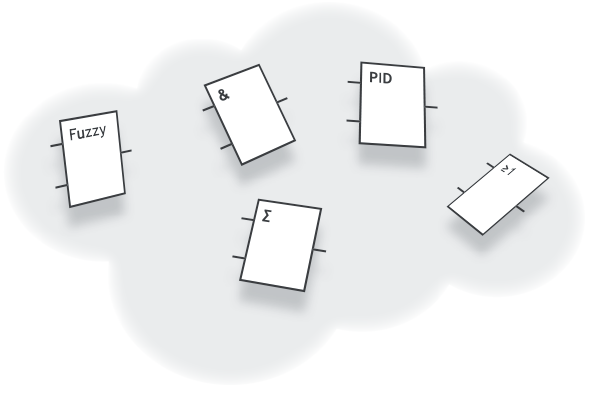 SmartControl pro­vides a large series of “build­ing blocks”. All blocks can be com­bined in or­der to build so­phis­ti­cat­ed closed loop con­trol sys­tems for pro­cess in­dus­tries. Handling of these blocks is very easy, main­ly by graphi­cal ma­nipu­la­tion and pa­ram­eterisa­tion of these blocks. In order to create con­trol loops there are no pro­gram­ming skills re­quired. The struc­tures are sim­ply cre­ated via ‘drag and drop’ of con­nec­tions be­tween blocks and/or sig­nals. 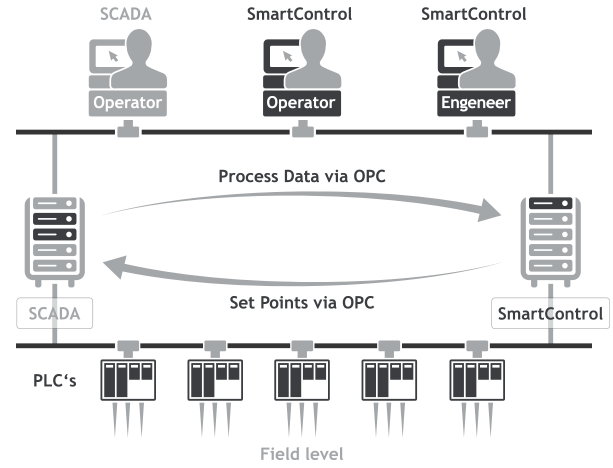 SmartControl is run­ning on a Windows server hard­ware, which is con­nected to the plant’s PLC via OPC-proto­col. 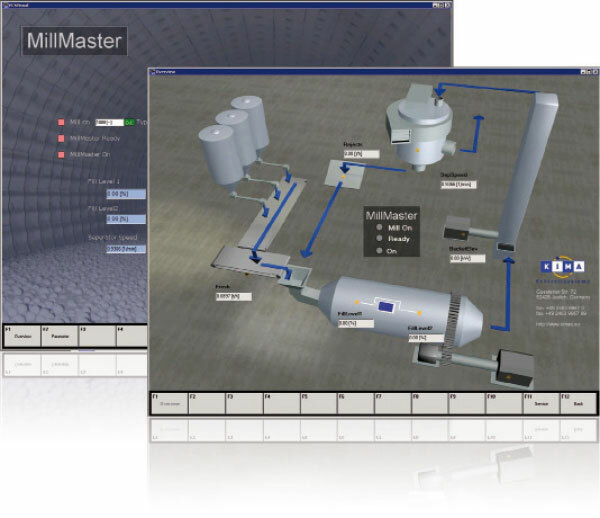 Com­mu­ni­ca­tion and op­era­tion is per­formed trans­par­ent­ly via the ex­ist­ing SCADA of the plant, or by SmartControl’s easy to use visu­ali­sa­tion. An op­tion­al way to op­er­ate and moni­tor your pro­cess is to de­sign clear­ly ar­ranged user inter­faces. SmartControl gives you the op­por­tu­nity to de­sign an easy to use inter­face with mod­ern dis­play and trend­ing el­ements. Beside the basic build­ing blocks, sev­er­al pre­defined com­plex con­trol strat­egies are avail­able. Kima can also de­vel­op a spe­cial adapt­ed con­trol fit­ting to your needs. We will also pro­vide a mo­del of your pro­cess for pre­dic­tive con­trol.